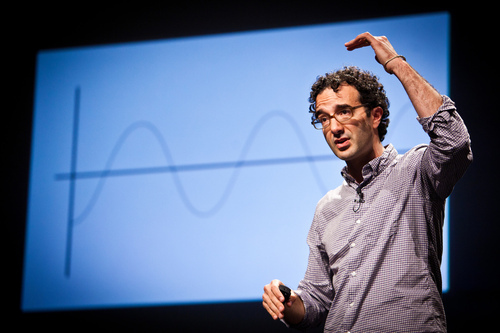 RadioLab is a super-smart and outrageously entertaining public radio program produced hosted by Jad Abumrad and Robert Krulwich, and syndicated by New York public radio station WNYC. It’s easier to describe the show by its insanely loyal and enthusiastic audience than it is to describe the actual show, but it’s probably safe to say that the show aims to answer big questions through intense curiosity and clever, creative story telling techniques. This is the part of the story where I reveal my own unique relationship with Jad and RadioLab that has allowed me a distinctive position from which I have gotten to know RadioLab’s very loyal and interesting audience. You see, roughly 8 years ago, I sat down with Mr. Arumbad to record a segment regarding a boating accident that I had endured the previous year. This was in advance of the second season of RadioLab, when it was probably best described as proof that a smart DIY approach could work on public radio. When my segment aired a number of years ago, no one I knew heard the bit, nor were even aware of the show. But in the past year or so, it seems like a week doesn’t go by where someone doesn’t hit me on Facebook, Twitter or just stop me while dropping my kids off to school to ask me “where you on RadioLab?” Yes that was me, and judging by the intellectual savvy of the people who have heard the segment below, RadioLab has created a product that attracts very smart listeners. And the most interesting part of that equation is that, since it’s on listener supported public radio, Arumbad and WNYC aren’t looking to monetize those very smart listeners. Genius! Congrats to Jad and to all of the very loyal RadioLab listeners out there. In a way, everyone who has supported in RadioLab can appreciate and enjoy Jad’s genius award. Listen to the segment in which I discuss my boating accident below, courtesy of RadioLab (warning, not for the squeamish!) My segment starts around the 5:50 mark.